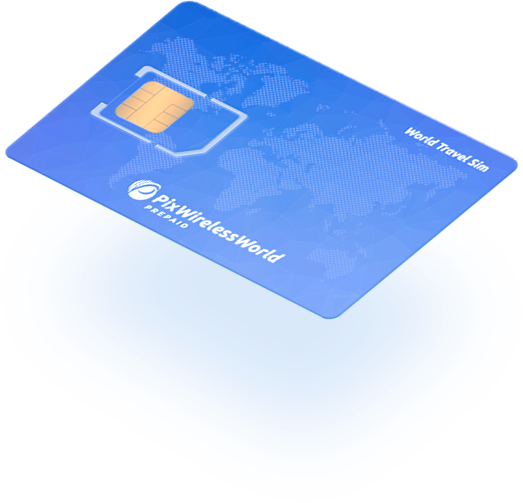 Pix World SIM is a universal prepaid SIM card ensuring worldwide mobile connectivity. Pix World has partnered with over 150 global 4G/3G network operators’ and now we are giving it all back at a fraction of the cost ensuring superior connectivity in your country of stay and/or on your next travel destination abroad. No additional data or Wi-Fi connection is required for messaging service in most countries. Chat for free on your favorite apps. The Free Pix Chat service is wonderful! Love this coverage. It’s awesome! It worked right away when I landed. I have a really good connection here. Bring your own unlocked device to Pix World. Order your Pix World SIM today for yourself, spouse, family member(s), friend(s) and/or colleague(s) and enhance your mobile experience on your international travels abroad. Traveling Abroad? Save up to 85% on Roaming! 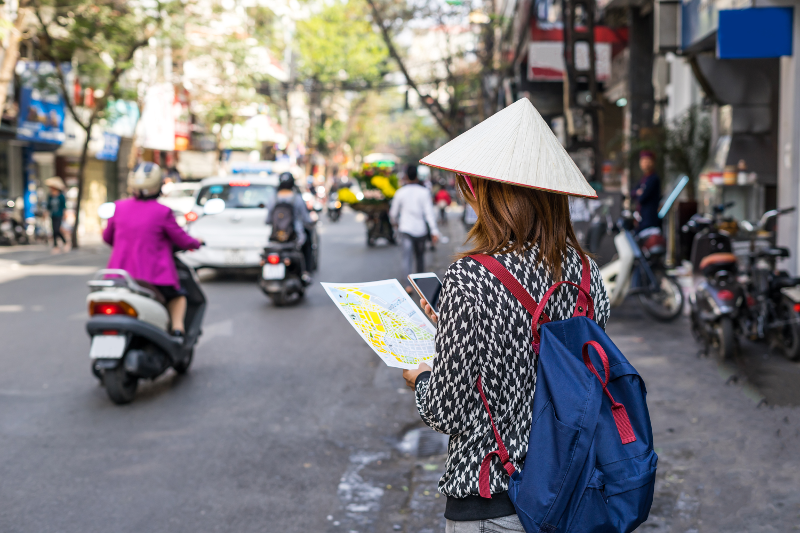 Explore our selection of talk, text and data roaming rates for your next travel destination abroad. Pix World is sure to keep you, your spouse, family member(s), friend(s) and/or colleague(s) connected internationally with rates much lower than the local network operator(s). Get My Pix World SIM! Worldwide 3G/4G data roaming coverage! Stay connected to the web on your smartphone and/or tablet and start saving with rates much lower than the local network operator. Earn bonus miles or points with the Airline and/or Hotel of your choice! Talking on the phone has never been more rewarding! 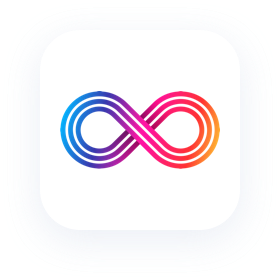 Pix World is rewarding its users with flexible loyalty program. The Voicemail feature handles all of your missed incoming calls by instructing the caller to leave a voice recorded message which you can access and listen to anytime, anywhere! Locate a Pix World sim user that belongs to your account with accuracy of 100 up to 2,000 yards. Track a family member, friend and/or colleague anytime, anywhere! Redirect incoming calls to your Pix World sim to any local or international number. Call redirection to numbers in over 145 countries are free of charge! Keep yourself within reach! Call Waiting simply allows you to place your current/active phone call on hold while answering an incoming call at the same time. Constant communication! Organize and manage your own conference call environment by connecting up to 10 worldwide participants simultaneously. The fax feature is a simple and effective way to receive faxes in your email inbox while faxes are sent to any Pix World number linked to your user account. Bring your own unlocked smartphone and/or tablet. Compatible devices include iPhone®, iPad, Samsung Galaxy, HTC and LG and more. Once you have received your Pix World SIM Card. Insert it into your device and follow these simple activation steps for global connectivity. Will the pix World SIM card work in my handset and/or tablet? Every Pix World SIM card is pre-activated with the PixChat global messaging service for one year. How long does my credit or SIM card last? Pix World airtime/credit lasts one year from your last recharge/top-up. Your SIM card will stay “live” as long as you recharge/top up once a year. tablets, iPads, Modems, and Routers? Can I use the SIM card in tablets, iPads, Modems, and Routers? 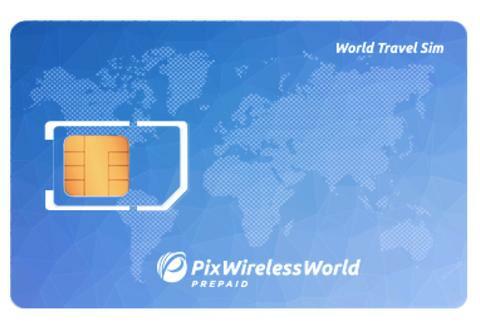 Pix WorldSIM card is a Triple-SIM, which means it will work in any unlocked device and fits all phones and tablets. The rates for all countries are listed on our rates and coverage page. Just click on the rate-finder button and select the countries you are staying in. What will my phone number be? Pix World SIM cards come with a European number, starting with +372. Additional phone numbers from 40+ countries are also available for an additional fee. If you have any queries or anything in general, please contact us. We'd love to hear from you. Please wait, we sending your message. Ready to start using Pix World Sim? Great! The payment was made! Have any questions filling in the form? Your payment has been completed successfully, and applied to your account. Your message was successfully sent. Thank you for your feedback.